Another Code was the first game to illustrate the potential of the Nintendo DS as a pre-eminent adventure platform, and remains one of the best to this day. This 2005 release by Cing stands out as a true gem not only for its gentle, melancholy story and characters, but also for the ingenious ways the developer utilized the handheld device's hardware. Fourteen-year old Ashley begins the game believing her parents died when she was a young child, but a mysterious letter turns her world upside down when it reveals that her father is still alive on the remote, ominously-named Blood Edward Island. Upon arriving at the island herself, Ashley ventures out on her own to find him. Soon she runs into the ghost of a boy named D, who seems just as lost as she. Together this unlikely pair explores the island and the massive Edward Mansion to discover the fate of Ashley's family and learn more about D's history. Throughout the game, Ashley uses a DS-analogue device called a DTS to interact with the world. By exploring every object, players can unlock not only Ashley's story but D's as well. Another Code (known as Trace Memory in North America) makes use of every mechanic and feature the DS has to offer, from a variety of touch screen-based interactions to blowing on the microphone to simulate a strong breath to closing the DS lid to trigger the handheld's sleep mode in order to advance. 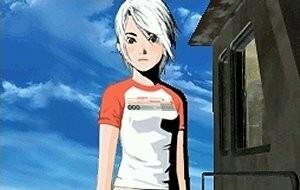 The game’s Japanese developer would go on to create many more innovative adventure games for the system, but Another Code was the first hint of the greatness not only for them but their chosen platform as well. 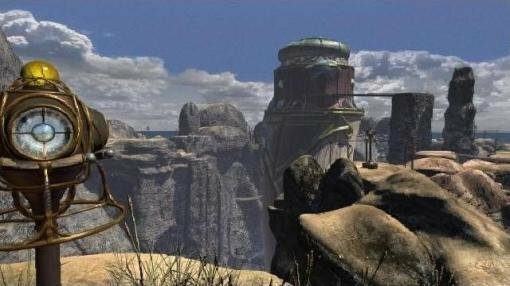 Any fears that the acclaimed Myst franchise would suffer in the move from Cyan Worlds to Presto Studios quickly proved unfounded when Exile was released in 2001. Taking place ten years after the events of Riven, the third installment sees the unnamed, unseen stranger arrive at Atrus's house to see a new Age he has created. However, a mysterious antagonist steals the book, seeking revenge on Atrus for crimes that his sons committed. To track down the perpetrator and recover the book, there are three new Ages to explore. Each world offers its own unique flavour, including the industrial-tinged Voltanic island, the Asian theme park-inspired world of Amateria (with its own rideable roller coaster! ), and the lush garden world of Edanna. The locations are wonderfully diverse and beautifully rendered, and for the first time in the series you could sweep the camera completely around you for a full panoramic view. Returning to the self-contained challenges of the original Myst, each Age has its own assortment of puzzle challenges. As usual, many of them are somewhat mechanical in nature, but while not always easy by any means, they are certainly easier than the puzzles in the first two games. To some this marked a regrettable simplification of the series, while to others it represented a more inviting, accessible experience while still delivering a solid challenge and remaining true to the spirit of its predecessors. Brad Dourif’s (One Flew Over the Cuckoo’s Nest) over-the-top live-action portrayal of the villainous Saavedro also met with mixed reactions, but there’s no denying he threw himself into the role with gusto. In the end, Exile didn’t quite measure up to the quality of its forebears, but it was a worthy sequel in the venerable franchise that still holds up well today. Not only do you not have to be a Trekkie (or “Trekker” in the more acceptable parlance) to enjoy Star Trek: Judgment Rites, but this 1998 sci-fi classic may just make you one all on its own. Although 25th Anniversary was an admirable attempt to adapt the Enterprise, the Federation, and Klingons to the genre, Judgment Rites is a nearly perfect marriage of adventure convention and all the lore and excitement of the Star Trek universe. It features all the original cast members as voice actors; in fact, it would be the last time that DeForest Kelley ever performed as Dr. McCoy in a released product. 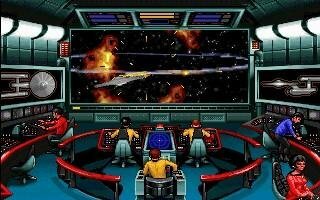 Interplay was not an adventure genre heavyweight, but they adapted the Sierra-style interface well for their purposes and spared no expense in creating an excellent inter-galactic adventure. The story of Judgment Rites is a memorable one, with eight individual scenarios that end up tying together in the philosophical tests of an incredibly memorable final chapter. The storylines include such elements as time travel, a kidnapping of a major crew member, and a return of the character Trelane from an Original Series television episode. It is incredible fan service for existing Star Trek fans, but even for the non-fans it is an exceptional science fiction adventure game that is incredibly well written and acted, feeling big-budget and important in every way. The devastating cancellation of The Secret of Vulcan Fury the following year assured its place as the last, but greatest, Original Series Star Trek adventure game. In 2005, Quantic Dream wowed us with the promise of Indigo Prophecy, a dramatic game with a vastly elastic storyline that would change with almost any decision the player made. While the finished product didn’t quite live up to the hype, it is nonetheless a fascinating game that explores a ritualistic murder from the opposing perspectives of the bewildered killer and the cops on his tail. Its gameplay is immersive, its art direction stylish and cinematic, and its storyline engrossing (for the first two-thirds, anyway). Long before the Wii, Xbox Kinect, and PlayStation Move, Indigo Prophecy’s tactile controls – requiring moving the mouse or gamepad analog stick in a pattern that mimics your character’s on-screen action – were one-of-a-kind. Animations and facial expressions are fluid and believable, thanks to extensive use of motion capture. And though the story is sometimes larger than life, it also touches on characters’ personal and even intimate moments, giving us an unparalleled connection to the people we’re controlling. 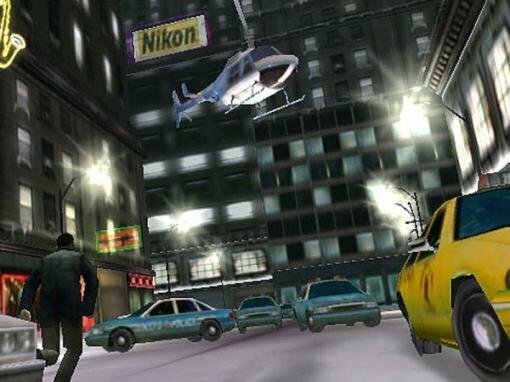 Set in an atmospheric New York City that’s blanketed in snow and peppered with cinematic camera angles and cuts, Indigo Prophecy (known as Fahrenheit in Europe) was the first game since the FMV era that felt like playing a movie. Its ubiquitous Simon-style Quick Time Events and nonsensical conclusion often draw criticism, but the story-focused gameplay, characters, and initial plot are so well developed and implemented that the game remains an impressive accomplishment. The story may be way more linear than it originally seemed, but tucked within this linearity are a wealth of small actions that players can experiment with to slightly change a scene. At a time when adventures were fighting for mainstream legitimacy, Indigo Prophecy proved that story-driven games can be just as compelling as action blockbusters and feel right at home on consoles as well as PC. It might be a bit too soon to truly understand its impact on the genre, but if the subsequent success of other high-profile games is any indication, the benefit is one we’ll be enjoying for years to come. French developer Lexis Numérique has been around since the late ‘90s, crafting dozens of licensed titles and children's games. In the English-speaking world, however, they're mostly recognized for creating experimental, high-concept adventure games. Their 2003 release In Memoriam (or MISSING: Since January in North America) isn't just a zany experiment, however – it's a dense, satisfying, well constructed adventure unlike any other. Borrowing ideas from alternate reality games, In Memoriam blends fact and fiction as the player does real internet research while solving a series of riddles and arcade-like minigames to save a journalist and his companion from a deranged killer known as The Phoenix. The game itself is presented as a CD ROM sent out by the killer, daring you to outsmart him. As the mystery unfolds it directs you to a series of dedicated websites hidden online, which begin to unweave a historical conspiracy that suggests The Phoenix might not be quite as crazy as he seems. The story is pretty stock stuff, and will be instantly familiar to anyone brought up on a diet of Broken Sword or Gabriel Knight. But the attention to detail, the careful verisimilitude and some convincing live-action handicam clips recorded by the victims help make the secret world of In Memoriam a believable and engrossing place. The riddles and minigames are challenging and inventive, and the desperate attempt to free the captives gives even the more abstract puzzling tangible meaning. The game may be an acquired taste, but it remains one of the genre’s first (if not only) forays into the emerging ARG format, and one that may never be bettered.